I love Starbucks Sous Vide Egg Bites but prefer to make them at home so I can control the ingredients. 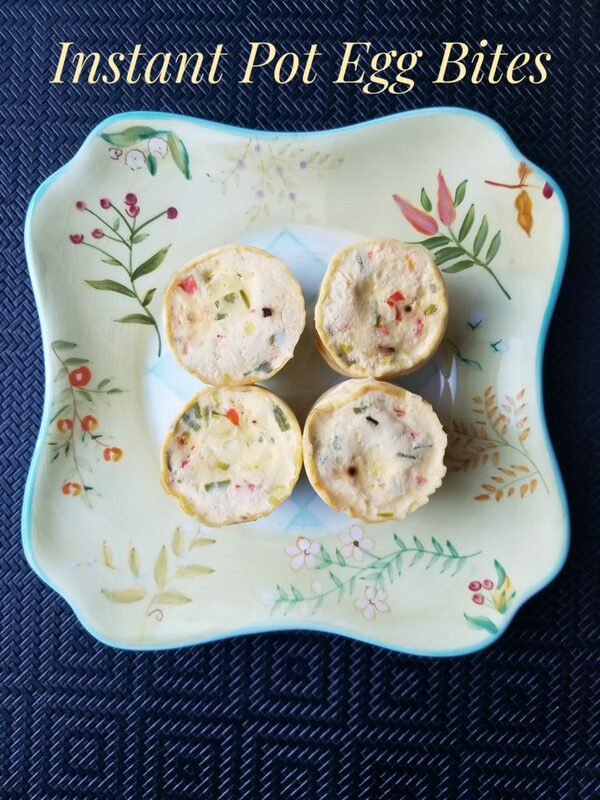 I have tried making baked eggs in muffin cups in the oven but find that they stick to the pan. The Instant Pot method, however, creates perfect egg bites that do not stick. Feel free to experiment with the ingredients. I always use eggs, cheese, cottage cheese, onion and red pepper but sometimes add spinach, cooked bacon, bacon slice, ham or broccoli if I happen to have these. 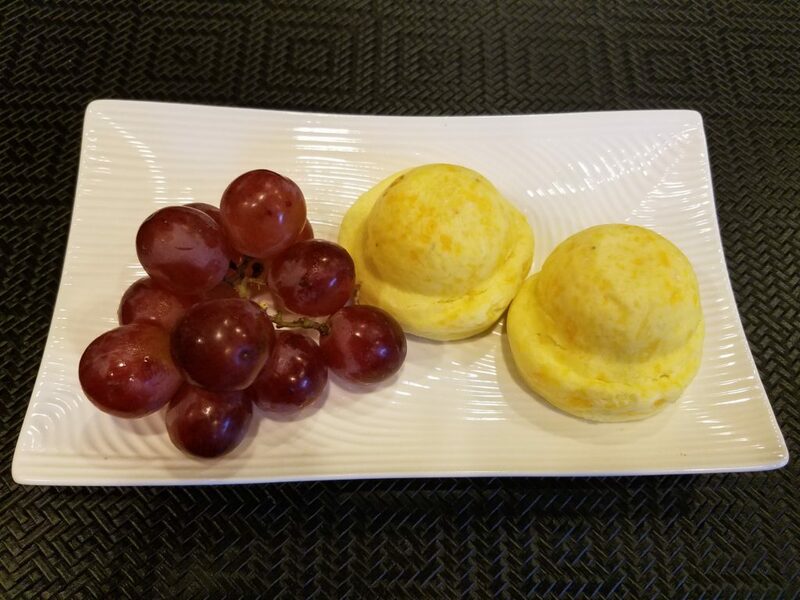 Sous Vide Egg Bites can be part of a healthy breakfast or snack. These keep so well in the refrigerator or can be frozen so I always make two batches since I have the blender and the Instant Pot out anyway. I have to admit, they aren’t as good reheated from frozen. (microwave about 50 seconds for one egg.) They lose some moisture and the texture is different. I like to use them in the Sous Vide Egg Quesadilla recipe below. Let me know what you think or let me know what your favorite ingredient combination is! Add 1 cup water to Instant Pot and place the wire rack that came with your Instant Pot inside. Add eggs, cheese and cottage cheese to a blender and process until smooth (about 30 seconds). Add green onion, pepper and spinach and give it a quick pulse to combine. If using bacon, add bacon pieces to bottom of silicone molds or if using sliced bacon, place two cut pieces into the bottom of each silicone cup. Divide the egg mixture evenly between the compartments of the silicone mold, tightly cover with aluminum foil. Place the silicone mold into the Instant Pot. Put the lid on the Instant Pot and set the vent to “sealing”. Press the STEAM button and set the timer to 10 minutes. It takes about 5 minutes for the Instant Pot to come to full pressure, then the display will show a countdown timer. Once the cooking time is up, allow the pressure to release naturally for 10 minutes, and then release any remaining pressure before opening the Instant Pot. Remove the silicone mold from the Instant Pot, remove the foil and remove the egg bites from the mold onto a plate. Blot with paper towel if too moist. See below with a serving suggestions: Sous Vide Egg Quesadilla! 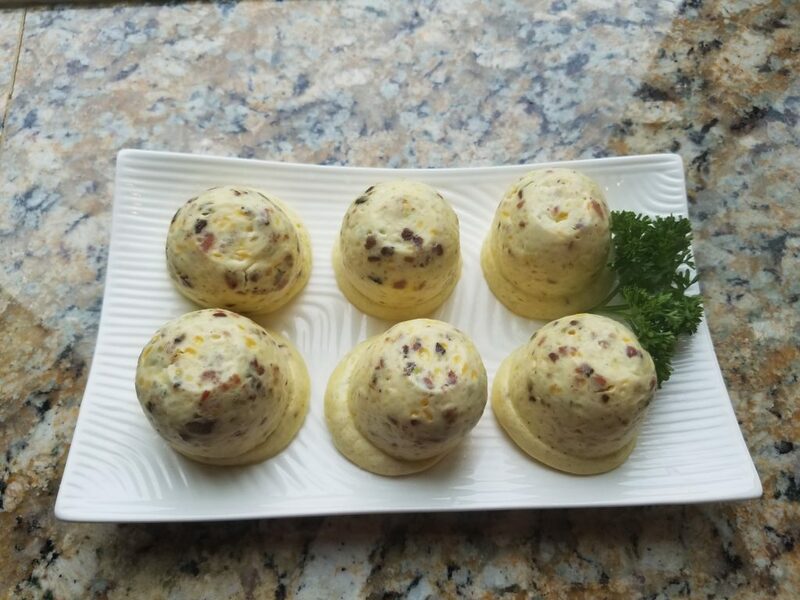 These Instant Pot Egg Bites can be stored in the refrigerator for up to 5 days. Microwave for 30 seconds when ready to eat. They can also be frozen and reheated in the microwave for 1 to 1½ minutes. Squeeze excess water out with a paper towel. Place tortilla in skillet. Top with 3 warmed sous vide eggs, warm black beans. Cook on medium high heat until tortilla is slightly crisp. Top with sour cream and salsa. I had some fresh spinach so I put some on the tortilla after the cheese. So good!!! 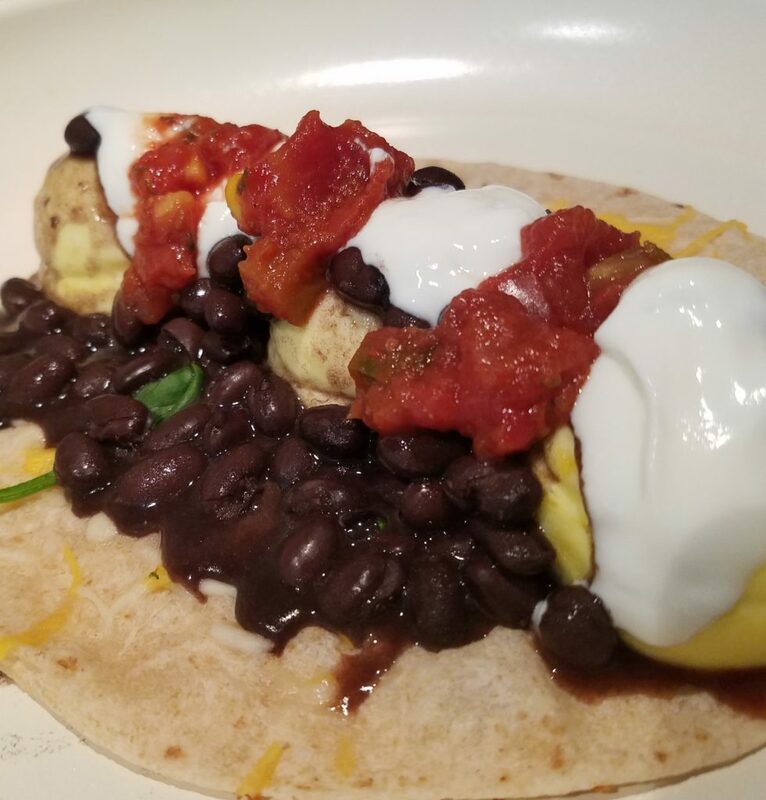 This entry was posted in Recipe and tagged brunch recipe, Egg Recipe, make ahead eggs, meal prep by Maria Faires. Bookmark the permalink.